I recently had a trial for my friend who was getting married in May. This was actually trial #2. The first time, her skin was going through a weird dry spell so we decided to see if we could find a better solution. We come to find out that it was actually her birth control pills that was making her skin go crazy. I spent over an hour to try and figure out how to apply makeup and coverage without irritation her dry, super sensitive skin. To see how I did it, click here! In doing makeup for clients, you're bound to run into problematic situations. Whether it's a personality clash, a product malfunction or even the wrong foundation match...you have to learn how to be resilient and try, try and try again. Keeping your cool is also part of the job. When working with the bride, I noticed that most items that touched her skin automatically looked lumpy, almost like the texture of cottage cheese. This was especially true for liquid products, even moisturizer! Since she had super dry patchy skin, I tried using a cream or liquid to hydrate and restore the face. I tried everything - various moisturizers, cream foundations, liquid foundations, tinted moisturizers...everything made her face inflamed and molty. Even when I happened to have my pinky finger brush against her skin it would turn red! Solution: I had to pretty much throw my conventional makeup knowledge out the window on this one. I found a solution that worked for this bride and her specific skin type. Instead of a heavy moisturizer, I misted the face with Fix + to moisten it, applied Smashbox Green Primer to correct redness, applied Eve Pearl Salmon Concealer in Light for undereye cricles and lightly patted Steelo Mineral Foundation for coverage. If some areas need more coverage, I applied powder dry with a tapered blending brush. 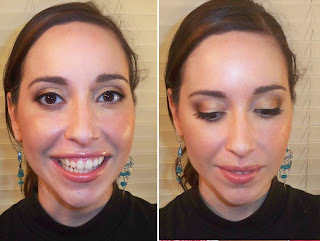 I typically don't like using mineral makeup on client, but in this case, it worked! In all steps, I made sure to hold the brush handles on their far end to make sure I was using the most delicate, gentle application. I learned a lot working with my client - simply, sometimes you have to break the rules. I hoped my story helped some of you. There are bound to be slips and falls in makeup application for others or even yourself...just remember, keep trying and keep a smile on that face! Wow,thanks Ren! Really good to know! You're so talennted. 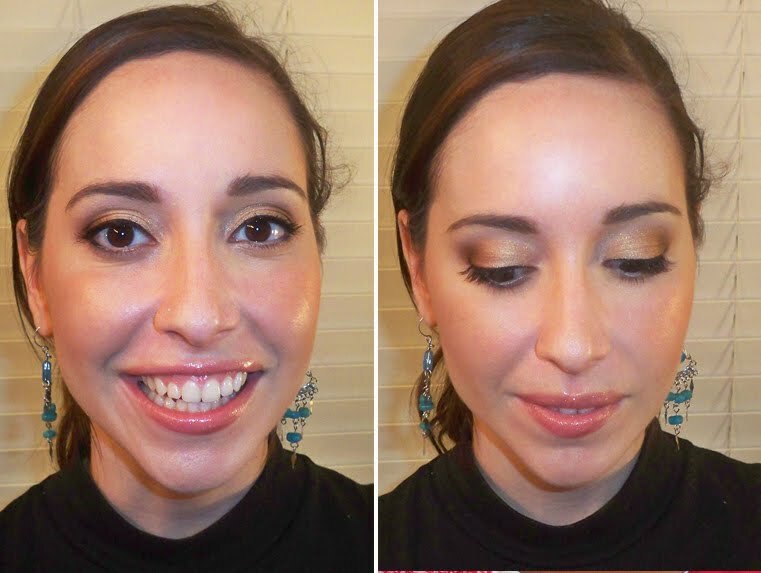 With the way her face is glowing, I would never have guessed that she's wearing mineral foundation! i'm an aspiring make up artist so i love hearing and trying out your tips! Great one, Ren! Thanks for sharing!